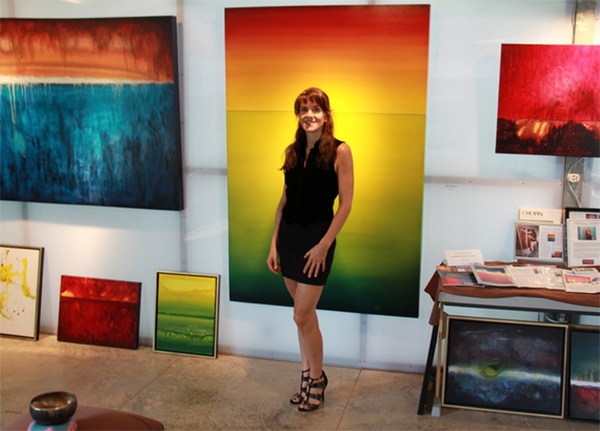 Leanne Venier is an international award-winning artist who first started painting 8 years ago. Within the first few months of learning to paint, she discovered how to use color to consistently tap into Flow state during her painting process, and her vibrant and colorful abstracts began appearing on the canvas. By the end of her first year of painting, she had gained recognition around the globe for her work, been featured in multiple US and international magazines, been invited to participate in several international and US exhibitions and won her first international art award. Leanne used to be a mechanical engineer designing submarines, but left that career to live in Italy for 7 years, then became an acupuncturist and Shiatsu practitioner working with cancer patients, all prior to her current work as a professional artist. These practices paved the way for the fascinating work she does today in the scientific field of color and light therapy and Flow state training. In this three-part interview series, we explore the cutting-edge field of color and light therapy (aka phototherapy), how color and light influences Creative Flow, and we talk about just how much color can impact us. I’ve always been very creative but also very passionate about math and science. As a child and teen, I trained formally as a classical pianist with the Royal Conservatory of Music in Canada, but for university, I chose to study mechanical engineering because of my love for math and science. I ended up designing submarines for Lockheed but I found the corporate realm unfulfilling so I left that career and moved to Italy for 7 years. While there, I studied numerous alternative healing modalities, continuing my other lifelong passion and interest in natural healing methods. My studies included, among many other topics, the Chakra system, which is all about how we take in and absorb energy from our surroundings as well as how we experience different energetic relationships of the physical body with color. Upon return to the States, I studied Eastern medicine, acupuncture and Shiatsu. I developed a keen interest in the ancient Chinese and Japanese Five Elements (WuXing) System which the American acupuncture schools were no longer teaching other than very superficially. So I moved to British Columbia, Canada to study it in greater depth. 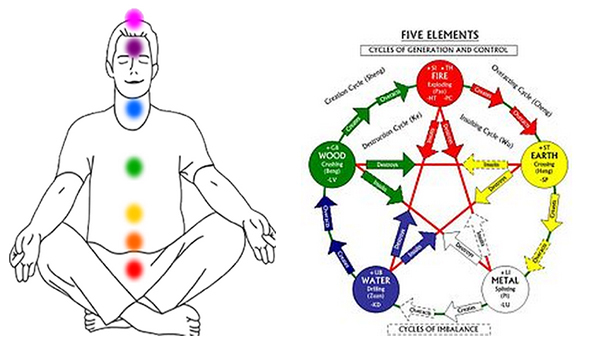 Five Elements deals with, among other things, how color is linked with different emotions and different energy lines in our bodies (commonly known as meridians). In my lectures and Flow workshops, I often explain how these meridians are like the electrical wiring within the walls of our houses, circulating life energy throughout our bodies. Each of the 12 primary meridians has an emotion and a color associated with it. The 7 major Chakras, on the other hand, draw this life energy into our bodies and are more like the transformers that deliver the electrical energy into our homes. How did you start getting involved in color and light therapy? Well, [laughing] I never really planned to teach on such a large scale about all this. The color information and Creative Flow system I now teach arose organically from of my own curiosity and personal interests in color, science, psychology, and natural healing. All my conference lectures, workshops and training sessions actually grew from a tiny seed that first sprouted 8 years ago, with several one-on-one conversations all revolving around people’s responses to the colors in my paintings. 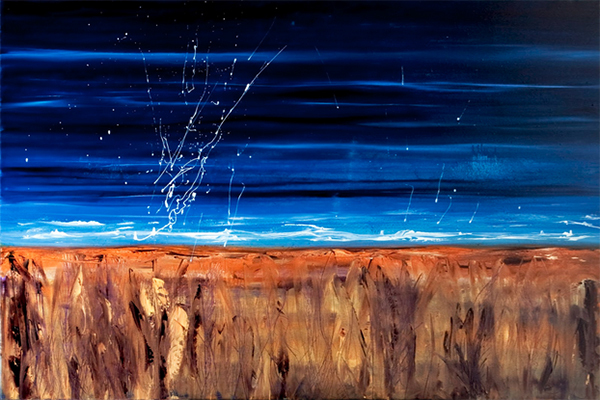 In fact, my paintings, which were all created in Flow state, were the catalyst for my decades of study and research coming together and out into the world. Everyone wanted to know where they could read or learn more, but there was no book yet in existence that I could recommend since all this information was still inside my head. It was just me combining many different information sources and decades of study, observation, and research. I had integrated my Chakra and Five Elements studies with the Eastern medicine healing work I did with cancer patients and added in my studies in Jungian Psychology. 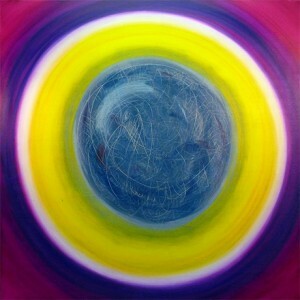 And all this culminated with my own personal color experiences during my Flow state painting process. I had inadvertently developed this new system for understanding at a much deeper level what is going on with any individual, both physically and emotionally, based on the colors they’re feeling drawn to. For literally 3 years, people pestered me to write a book or at least put some of this healing information about color and light on my artworks website which I finally did at the end of 2010 in a very pared down format. The book is now in the works and in the meantime I’m teaching about it all through my lectures, my blog, CatalyticColor.com and my Creative Flow workshops and training sessions. Back in 2010, within a couple months of adding that simplified color and light information to my website, I was contacted by UT Health Sciences Center in San Antonio (UTHSC-SA). Someone in their research department had told them about my paintings and the color healing information on my website and they invited me to do a 2011 exhibition of my artwork with a medical learning component to it. They also asked me to give a lecture for their MD’s, medical faculty and medical students and that’s when I brought in all the medical and scientific research behind the healing effects of color and light. That exhibition, which was also open to the public, was interactive and experiential so people could first experience the healing colors in the paintings and then learn about why they might be drawn to one color over another. It was essentially a right brain visual and emotional experience with a left brain learning component. At this time, the UTHSC Cancer Caregiver Center also asked me to teach a workshop about healing colors and that’s where my Healing Colors Creative Flow Workshops were born. In the summer of 2011, right after the UTHSC exhibition ended, UT Southwestern Medical Center at Dallas (UTSWMC), another huge medical school hosting 10,000 people, asked me to bring the exhibition there for 3 months and also give another lecture. They gave me even more space than UTHSC so I made the exhibition even bigger. Things have just snowballed from there. I was invited to speak at the MENSA Conference in 2013, at SXSW Interactive in 2015, and I’ve done many other live lectures, nationally syndicated radio interviews, television interviews and international podcasts in between. I also regularly write for Texas MD magazine and am in the process of writing my first book. I still can’t believe that this all really started in 2011; I’ve done a lot in the past few years with this work and I continue to be fascinated by all of it! What can someone expect from your lectures, writings & Creative Flow Training? 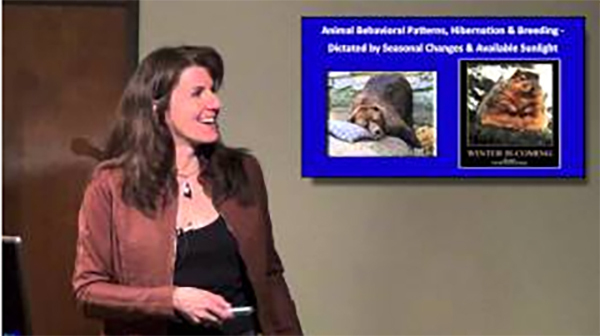 My videos, lectures and writings are geared towards both medical practitioners and a layperson audience. The topic of color and light has such broad appeal because we are all affected and influenced by color and I bring in lots of medical research studies to support the scientific end of it. In my lectures, to keep the information accessible to all, I don’t go too deeply into the physics or any of the complex underlying science – but it truly is physics that underlies how phototherapy works. I’ve also been sharing my Creative Flow Training on a broader scale. I’m now also working with businesses, executives and entrepreneurs. I teach them how to use color to easily and reliably tap into Flow state whenever they’d like and how they can integrate its many benefits in their work and personal lives for Optimal health and healing, 500% increased productivity and the ability to tap into creative and innovative insights in all aspects of their work. How does Munsell play into all of this? Well, this all started with people responding to the colors in my paintings. Eight years ago, part of teaching myself color theory and how colors interact together was to study the Munsell system and I still apply that knowledge today in my paintings. One of the things I feel is important to understand for anyone who is using color, whether they’re artists, architects, designers, scientists, or medical doctors … is that color is far more than just an aesthetic. Why do you like that color on your wall or in your clothing and what can it tell you about your health and emotional state? How can you use color and bring it into your life more, and make conscious decisions about it? It is not just about picking a color that is going to match another color, it’s about the bigger picture and how color can be used to restore health, wellbeing and Flow in our lives. 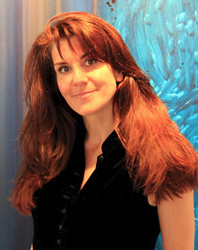 Leanne Venier is an international award-winning artist, engineer, and science of color and light therapy expert who regularly lectures about the healing effects of color, light, art and Flow State at major medical centers, SXSW Interactive, MENSA, on television and other media, and elsewhere. 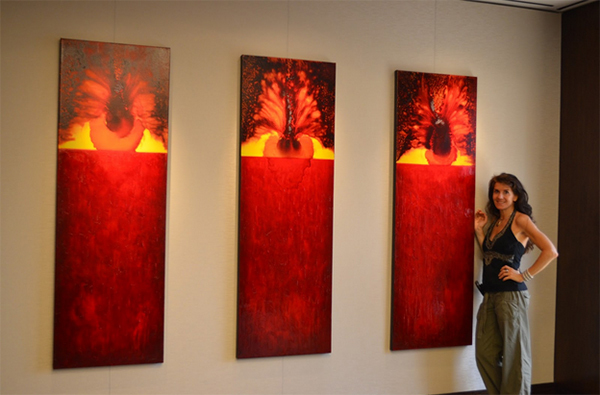 View her artwork, learn more about color and light therapy as well as her Flow Workshops and Training sessions on her Artworks website: www.LeanneVenier.com and her Color, Light and Flow Website: www.CatalyticColor.com.